The Central Reserve Police Force (CRPF) 54th Valour Day (Shaurya Diwas) witnessed the launch of ‘Veer Parivar App’, a mobile application for families of CRPF personnel killed in the line of duty. The 'Veer Parivar App' was launched by President Ram Nath Kovind launched on 9th April 2019. The Veer Parivar App will act as an interface between the CRPF authorities and the next of kin of the slain personnel. The Veer Parivar App will be installed securely on the phones of the slain personnel families and will not be available in the app stores. The Veer Parivar App will provide assistance to the families of the martyred CRPF personnel with regard to issuance of ex gratia, pension benefits, etc. The Veer Parivar App will also provide all the necessary information regarding the welfare schemes introduced for them by the government. The Android-based Veer Parivar App will provide assistance to the families on a real-time basis and the CRPF authorities will respond to the issues raised by the members of the families of the slain personnel. 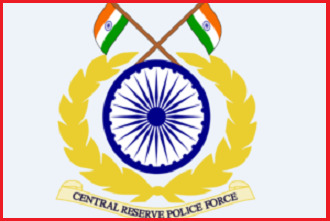 The Central Reserve Police Force observed its 54th Valour Day on April 9, 2019. The day is observed by the force every year as a remembrance of the gallant fight back by a small contingent of the 2nd Battalion of CRPF against an attack by a Pakistani Brigade at the Sardar post in Gujarat's Rann of Kutch on 9th April 1965.